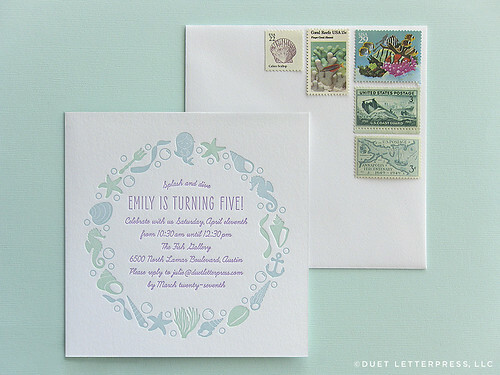 I’m so excited to finally share with you the invitations we designed + letterpress printed for Em’s birthday party. As you recall, she requested a mermaid theme for her fifth birthday. The illustrations were really fun to work on. Kelp, seashells and bubbles! Oh my! Plus we hid a few mermaid specific illustrations. 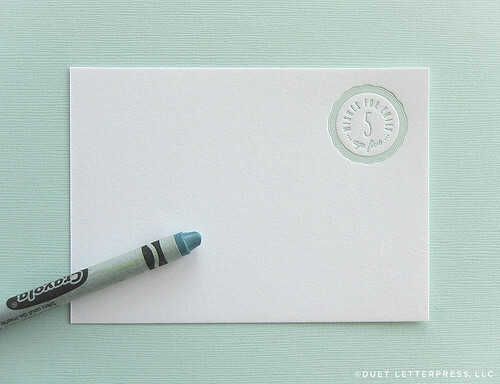 We chose a very soothing color palette reminiscent of sea glass and threw in a pop of vibrant orchid for the text. 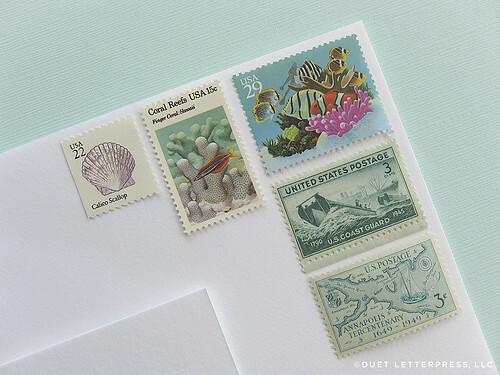 How wonderful are these vintage stamps? Perfect for her underwater theme. Like previous years, we handed out wish cards for our family to write their wishes for Em. This year, she really enjoyed reading them after the party. 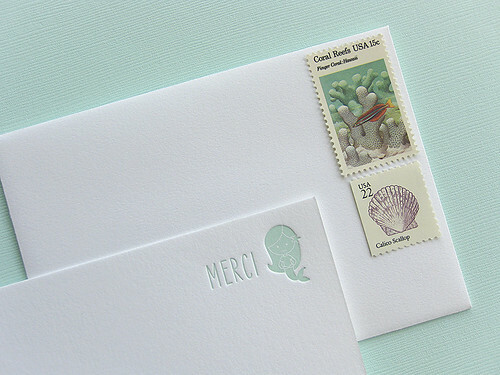 And finally, the mermaid merci cards that we sent out post party to thank everyone for their thoughtful gifts and for celebrating with us. And there you have it! 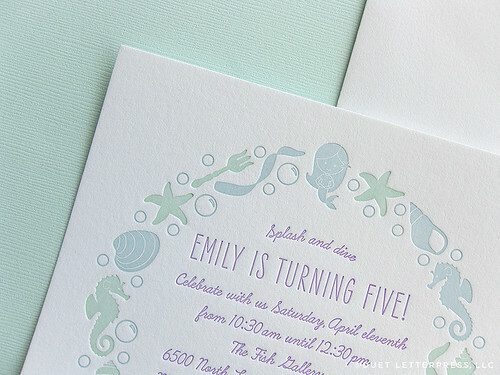 Em’s mermaid invitations for her fifth birthday party. This entry was posted on Thursday, August 27th, 2015 at 1:12 pm	and is filed under letterpress, parties. You can follow any responses to this entry through the RSS 2.0 feed. You can leave a response, or trackback from your own site. 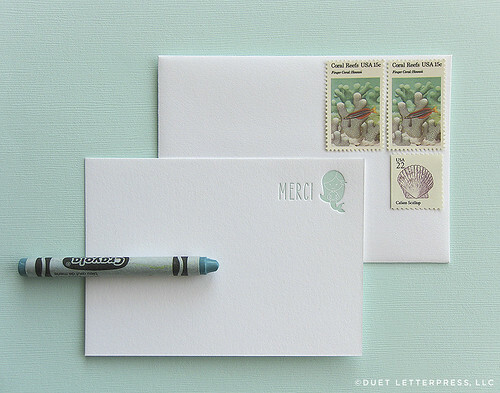 so adorable, I love the stamps!! happy birthday Em!